The PS3 went through a strong period in its later years, producing some of the finest third-party exclusives on any console to date. While it’s easy to point out the blockbuster AAA titles that thousands clamoured for, my favourites came in the form of smaller, more intricately designed experiences. Those titles all happened to come from the same house though, with thatgamecompany really shining with games like Journey, Fl0w and Flower. 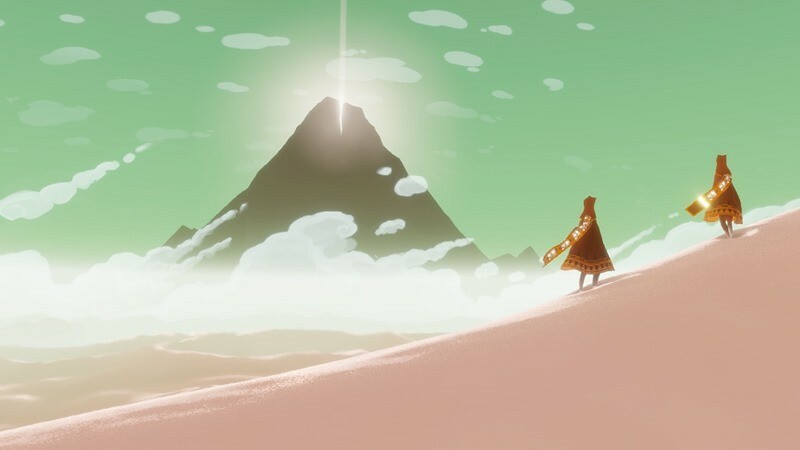 Last year the studio revealed that their hit adventure/narrative title/scarf simulator, Journey, would be making its way to the PS4 in due time. The title wouldn’t receive many upgrades, considering it already ran at 1080p on the PS3 (and looked utterly gorgeous by the way). Journey on the PS4, however, would benefit from a bump up to 60FPS – which is bound to make some of those gleeful sand surfing segments even more drool inducing. The game had no confirmed release date though, but yesterday thatgamecompany sort of changed that. There’s no actual date yet, but we know now that Journey for PS4 will arrive sometime during the American summer, which translates to anywhere in the middle of 2015. Better yet, there will be a retail version hitting shelves as well, which bundles Journey with previous works Flower and flOw (which are just as brilliant). And if you didn’t manage to pick any of them up on PS3, there really isn’t a reason to skip them now. I’ll concede that these games, for the most part, don’t really click with everyone. But I’ve urged so many people to give Journey, in particular, a chance, and they’ve often walked away spellbound by the experience. It’s unlike anything I’ve ever played, and you can bet your money on a second purchase. Next article FFD: Which Fighting Game Franchise is best?